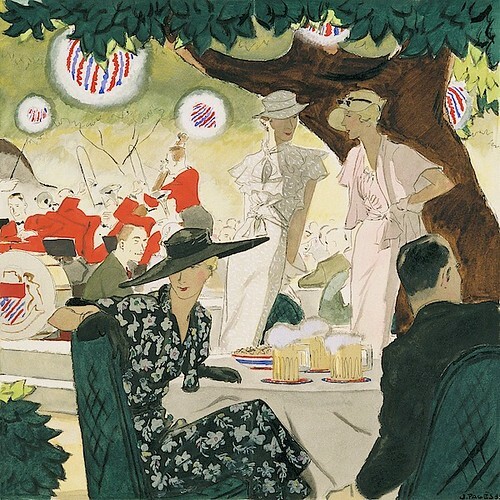 A Beer Garden," by artist Jean Pagès, in 1933. 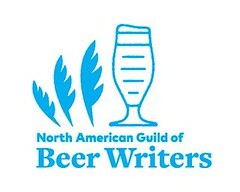 As seen at Jay Brook's "Beer in Art" Tumblr. 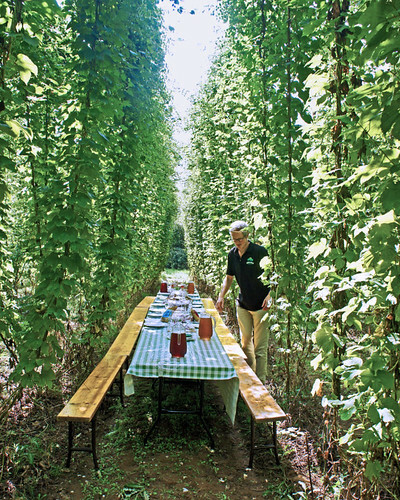 Hogs Back Brewery's chairman Rupert Thompson gives a final look over the hop pickers’ lunch amid mature Farnham White Bine hops, the first planting of the hop variety in its native soil of Surrey, "since the last bines were grubbed up 85 years ago." Photo courtesy Martyn Cornell (at Zythophile). 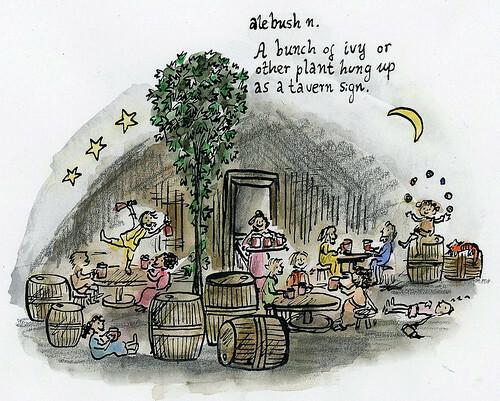 "alebush, n. A bunch of ivy or other plant hung up as a tavern sign." —O.E.D. Word of the Day, on Twitter, 14 July 2017, using an illustration by Imogen Foxwell. All rights reserved. 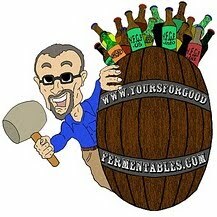 Thanks for sharing, Thomas - I'll post some photos and recipes, cheers! Thanks for hosting, here's my contribution. Cheers! Thanks for presenting an interesting topic for The Session. In a blogpost a little while back I linked to and commented on an essay that addressed your question some time ago. It was written a while before mine - mid-1800s in fact. I was trying to parse the entry rules to decide if, i) this entry qualifies at all, and ii) whether I am too late to submit. But I'll go ahead and do it anyway, pleading that as agent for the journalist in question, a man of by now rather advanced age, perhaps you will forgive us.